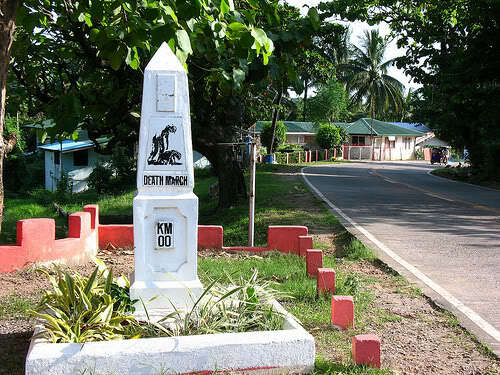 Although there are many important sites along the two routes of the Death March into Pilar, the most obvious starting points are the Mariveles and Bagac Zero Kilometer Shrines. Each shrine provides its own challenges. The Bagac Zero KM Memorial Shrine is located at a split in the road, making it vulnerable to vehicle accidents, as well as a natural place to hang posters or other things. 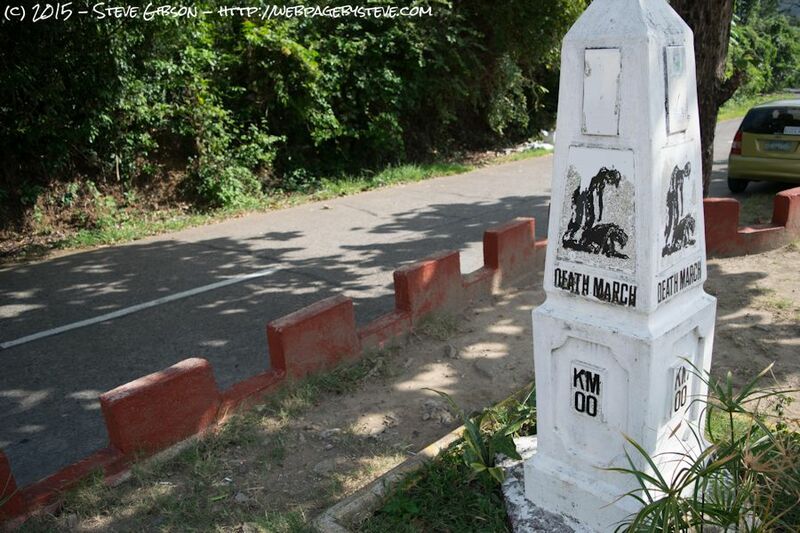 The Mariveles Zero KM Shrine is located in a very busy section of Mariveles, with bustling traffic all around it, and a path through the shrine to local businesses. This leads to lots of graffiti, as well as the damage of large amounts of pedestrian traffic, not to mention litter and other debris. It is the goal of FAME to raise at least enough money to annually provide for the maintenance of these two shrines, including periodic re-landscaping. Any funds donated in excess of the amount needed annually will be used to fund other solutions, such as better lighting and additional protective barriers. 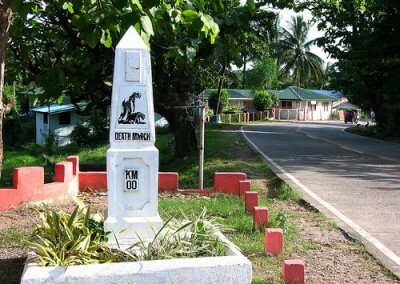 This photo shows the proximity of the marker to the road. Check Donations– Click here to print the form. Fill it out completely and email it to fame@amchamphilippines.com or fax to (632)811-3081 in the Philippines; or fax to (513)231 – 8763 in USA. Donations thru PayPal – click the “Donate” button below to use Paypal.